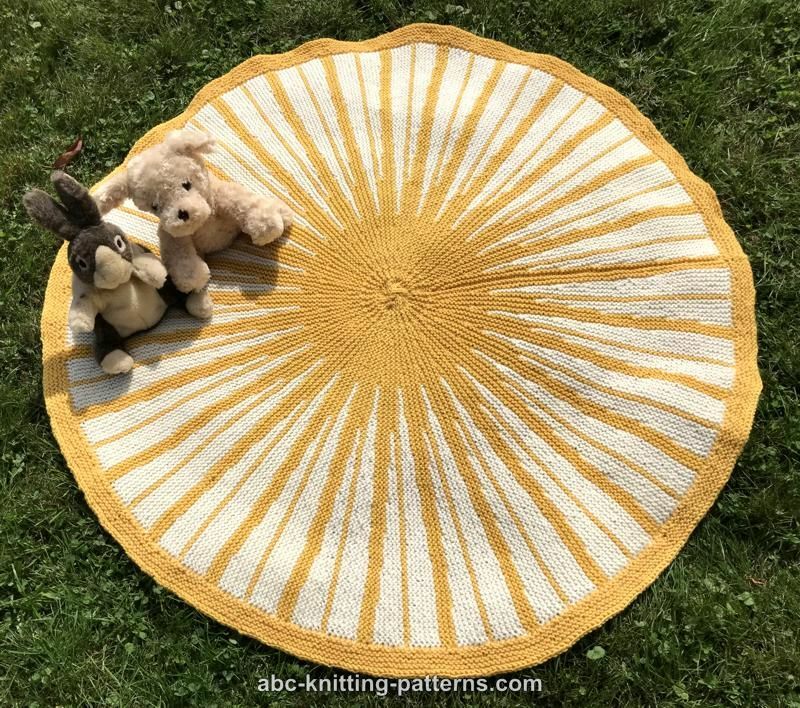 This circular baby blanket is a glorious celebration of the sun, warmth and birth! 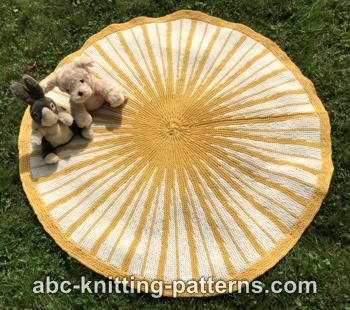 The circular shape is a bit unusual for a blanket, but it works quite well for wrapping babies. 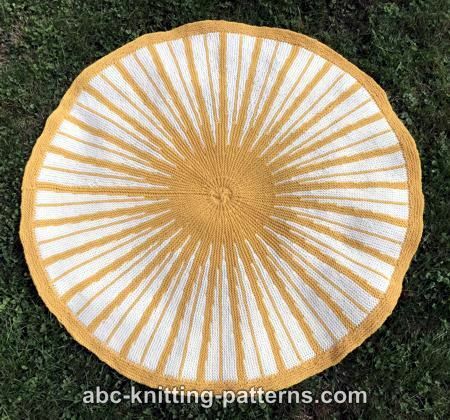 The bold sunburst pattern on the blanket is formed using short rows. 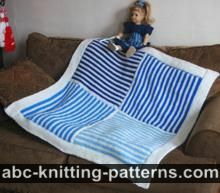 The blanket is worked sideways, using 2 colors. Finished Measurements: diameter 42” (105 cm). Needles: size 8 (5 mm) needles OR SIZE NEEDED TO OBTAIN GAUGE. 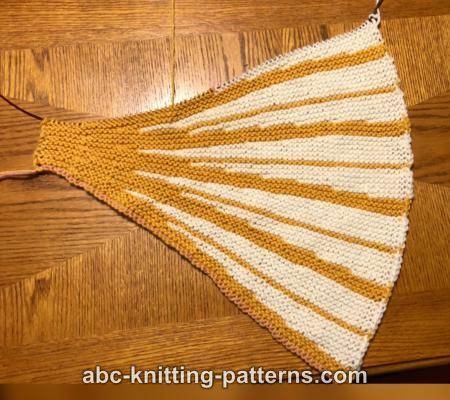 Gauge: 13 st x 32 rows = 4" x 4" (10 x 10 cm) in garter stitch. Note: it is important to work chain selvedge on the edges of the blanket body, since the stitches for the border and the center of the blanket are picked up along the chain selvedge. With yarn in front slip 1 stitch to the right needle. 3-needle bind off: is used to seam the edges of the knitted work. For this, fold the working piece, RS inside, and align the edges that need to be connected. Hold the needles parallel in your left hand and slip a third (working) needle into the first stitch on each of the two parallel needles. Wrap yarn around the working needle and knit the two stitches together. 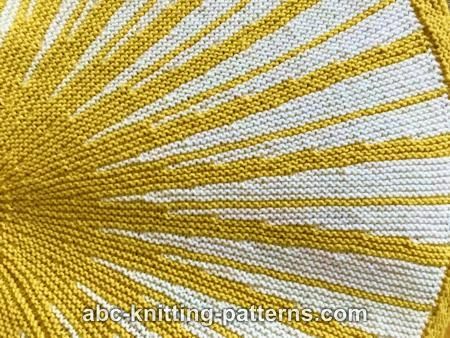 Allow the first stitch from each of the parallel needles to fall from the needles. 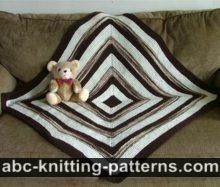 *Knit together the new first stitch on both parallel needles in the same way as above. There will be two stitches on the working needle. Pass the first stitch on the working needle over the second stitch and off the needle, as you normally would when binding off. 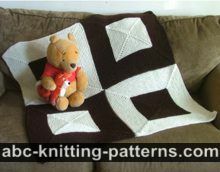 The blanket is worked sideways with short rows using 2 yarn colors. The set of short rows, which form each ray of the sun, is repeated until they form a circle. Then the first and the last rows are joined with 3-needle bind off. They can also be seamed. Then the stitches are picked up on the set of dpn, along the opening in the center and several rounds of the stockinette worked to close the opening. For the border, the stitches are picked up along the outer edge of the blanket and a garter stitch border is worked. 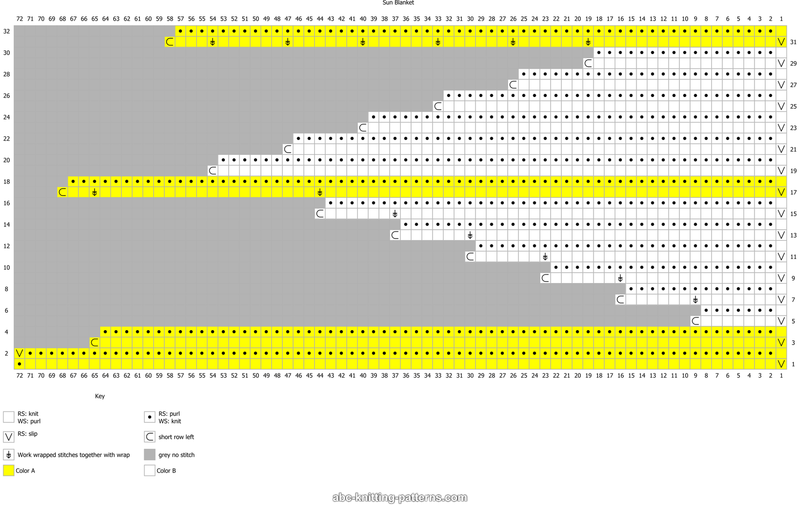 Note: short rows are numbered as full rows. The stitch count provided for the number of stitches worked in any particular row. There are no decreases or increases in the body of the blanket. 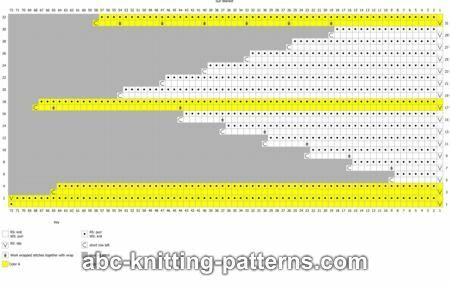 With A yarn cast on 72 stitches using your favorite provisional cast on method. Note: the 1st and the last stitches are selvedge sts. The first st is to be s1ipped, the last to be purled. Row 2 (WS): Sl1, k70, p1. Repeat rows 1-32 twenty nine (29) times. Unravel the waste thread from the provisional cast-on and transfer the stitches to the needle. 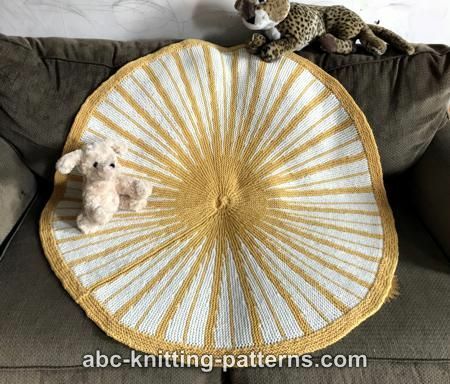 Starting from the outer edge of the blanket, fold the blanket with right side inwards and bind off the stitches using the 3-needle bind-off method. Don’t cut the yarn. The center is worked in color A, in stockinette stitch, in rounds, on dpn. Pu&k 28 st along the inside edge of the blanket on dpn. Distribute sts evenly on 4 dpn. Place a marker to mark the beginning of the round. Round 3: *k1, k2tog, from * repeat to the end of the round (10 sts). The border is worked in color A in garter stitch. Pu&k 464 st along the outer edge of the blanket, using one chain selvedge loop for one stitch. Join to work in-the-round. Place a marker at the beginning of the round. Round 3 (increase round): k1, *m1, k16, from * repeat to the end of the round, end with k15. (493 sts).